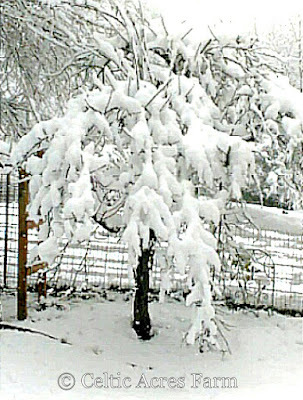 As many of you already know, snow is not a common occurrence in the South. Thursday evening, the local weather forecasters were all saying that we would see cold temps and, perhaps, a dusting of snow on the grassy areas. They all said there was nothing to worry yourself over. 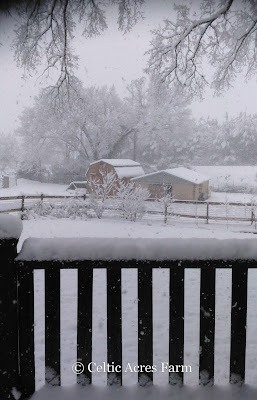 When I got up a little before 5:00 a.m. on Friday morning to let Sophie and Otto out to potty, the snow was already coming down. 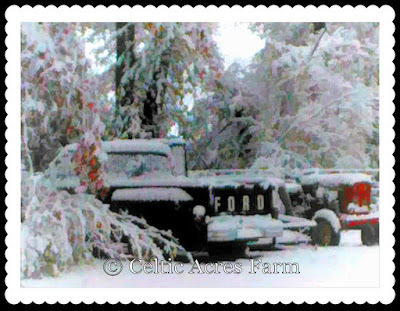 As the sun came up, we could see the farm turning into a Winter Wonderland. Based on the local weather forecasters, who were still saying “no true accumulation,” it sounded like we were going to see a “pretty landscape” but no dangers. As the day progressed, so did the snow, with no indication of letting up at all. 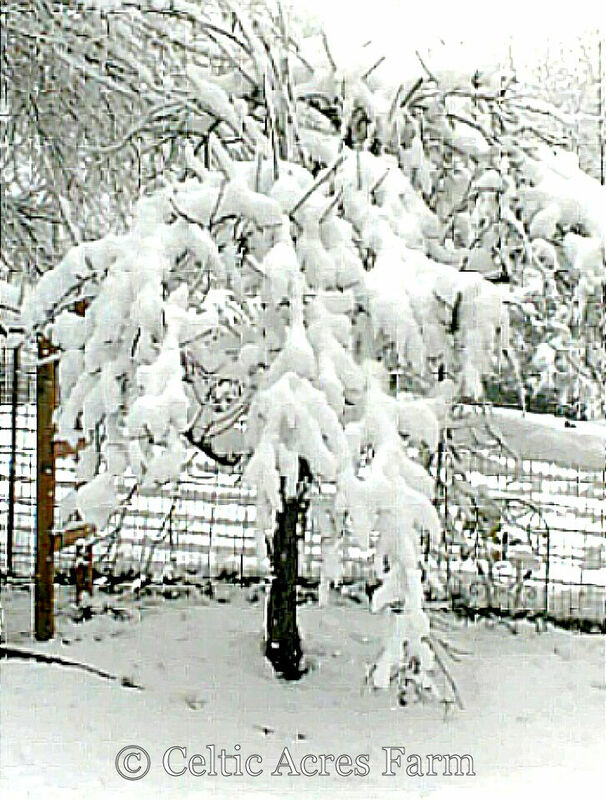 The snow was weighing down on the limbs and power lines and, after a few hours of heavy snow, the electricity went out. After the mandatory minute of no electricity, I heard our solar battery backup turn on with a thud. We have our kitchen (fridge, freezer, stove), the pump in the spring house for our water, the living room and the master bedroom wired into the secondary breaker box which is serviced through the battery backup. We also have two cast iron stoves (one in the bedroom and one in the living room) that are propane. With everyone around us without electricity, heat and water, we had it all. Not a bad way to “rough” it. The two Pyrenees were in their element – frolicking all over the pasture, enjoying the snow. The goats and pig didn’t share the Pyrs excitement. They chose to stay inside of the barn and watch the snow fall from the shelter of the barn door.